Huge Savings Item! 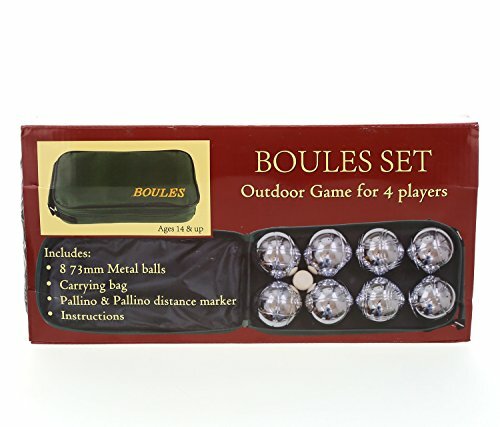 Save 20% on the Mozlly Multipack - Classic Game 8 Ball Bocce Set with Canvas Storage Bag - 73mm Regulation Size - Petanque Game (Pack of 6) - Item #S119029_X6 by Mozlly at Scruffs Game. MPN: S119029_X6. Hurry! Limited time offer. Offer valid only while supplies last. Head outside and enjoy a game of Bocce with this 8 ball set! Made of polished metal and are 73mm regulation size. Perfect to play on dirt or grass.